Letters to Editors, Editorials, Book Reviews, etc. In 2007, our long-term research on the ecology of coral-reef fishes in the Bahamas was interrupted by a population explosion of invasive Pacific lionfish. Protected by cryptic color and form, as well as by venomous spines, these voracious predators of small fish and other reef animals had been introduced to the Atlantic, probably as a result of aquarium releases in the early 1990s. Funded by the National Science Foundation, my lab is actively studying this invasion, focusing mostly on the ecological effects of lionfish on Atlantic coral-reefs ecosystems. 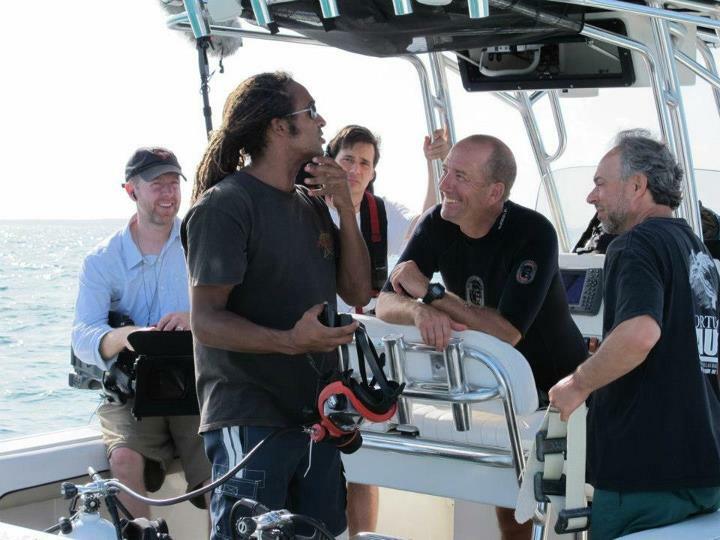 Our first field experiment, conducted by Ph.D. student Mark Albins (left), demonstrated that a single lionfish can reduce recruitment of native fishes on a small coral patch reef by about 80% is just 5 weeks (Albins & Hixon 2008). To the extent that such effects are typical, this could very well become the most disastrous marine invasion in history (Albins & Hixon 2013). An important recent finding is that raw lionfish (and scorpionfishes in general) may give false positive tests for ciguatera (a kind of fish poisoning) (Wilcox & Hixon 2014). If so, then efforts to control the invasion by eating lionfish via community derbies and targeted fisheries may be unnecessarily impeded. The easy solution is to test for ciguatera after the fish is cooked, which prevents false positive tests. --To view an Associated Press TV video about the invasion, click here. --To download our scientific publications, please scroll down this page. Albins, M.A., and M.A. Hixon. 2010. Effects of invasive Pacific red lionfish (Pterois volitans) on Bahamian coral-reef fish communities: Preliminary results from a large-scale, long-term experiment. 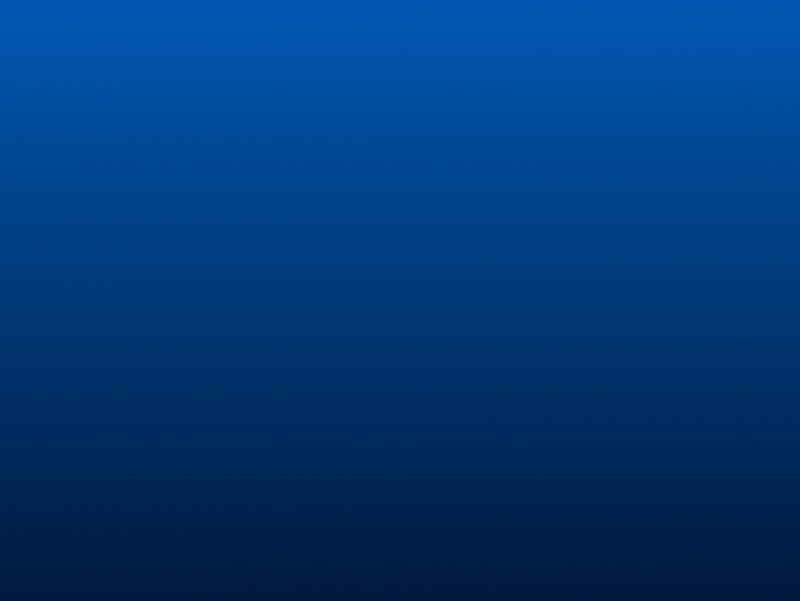 Proceedings of the 63rd Gulf and Caribbean Fisheries Institute 1: 329-330. Albins, M.A., and P.J. Lyons. 2012. Invasive red lionfish Pterois volitans blow directed jets of water at prey fish. Marine Ecology Progress Series 448:1-5. Kulbicki, M., J. Beets, P. Chabanet, K. Cure, E. Darling, S. Floeter, R. Galzin, A. Green, M. Harmelin-Vivien, M. Hixon, Y. Letourneur, T. Lison de Loma, T. McClanahan, J. McIlwain, G. MouTham, R. Myers, J. O’Leary, S. Planes, V. L., and W. L. 2012. Distributions of Indo-Pacific lionfishes (Pterois spp.) in their native ranges: implications for the Atlantic invasion. Marine Ecology Progress Series 446:189-205. Cure, K., C.E. Benkwitt, T.L. Kindinger, E.A. Pickering, T.J. Pusack, J.L. McIlwain, and M.A. Hixon. 2012. Comparative behavior of red lionfish Pterois volitans on native Pacific versus invaded Atlantic coral reefs. Marine Ecology Progress Series 467:181-192. Albins, M.A. 2013. Effects of invasive Pacific red lionfish Pterois volitans versus a native predator on Bahamian coral-reef fish communities. Biological Invasions 15:29-43. Albins, M.A., and M.A. Hixon. 2013. Worst case scenario: potential long-term effects of invasive predatory lionfish (Pterois volitans) on Atlantic and Caribbean coral-reef communities. Environmental Biology of Fishes 96:1151-1157. Benkwitt, C.E. 2013. Density-dependent growth in invasive lionfish (Pterois volitans). PLoS One 8(6):e66995.doi:10.1371/journal.pone.0066995. Cure, K., J.L McIlwain, and M.A. Hixon. 2014. Habitat plasticity in native Pacific lionfish (Pterois volitans) facilitates successful invasion of the Atlantic. Marine Ecology Progress Series 506:243-253. Hixon, M.A., and M.A. Albins. 2014. Invasion of Bahamian coral reefs by predatory Pacific lionfish. Pages 215-218 in G.C. Ray and J. McCormick-Ray. Marine Conservation: Science, Policy, and Management. Wiley-Blackwell; West Sussex, UK. Kindinger, T.L. 2014. Behavioral response of native Atlantic territorial three spot damselfish (Stegastes planifrons) toward invasive Pacific red lionfish (Pterois volitans). Environmental Biology of Fishes, DOI 10.1007/s10641-014-0279-y. Raymond, W.W., M.A. Albins, and T.J. Pusack. 2014. Competitive interactions for shelter between invasive Pacific red lionfish and native Nassau grouper. Environmental Biology of Fishes, DOI 10.1007/s10641-014-0236-9. Sikkel, P.C., L.J. Tuttle, K. Cure, A.M. Coile, and M.A. Hixon. 2014. Low susceptibility of invasive red lionfish (Pterois volitans) to a generalist ectoparasite in both its introduced and native ranges. PLoS One 9(5):e95854.doi:10.1371/journal.pone.0095854. Wilcox, C.L., and M.A.Hixon. 2014. 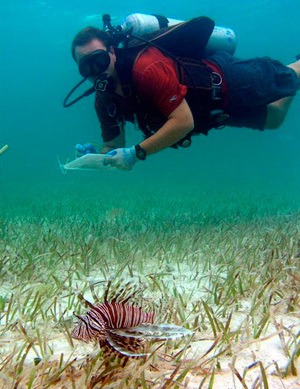 False positive tests for ciguatera may derail efforts to control invasive lionfish. Environmental Biology of Fishes, DOI 10.1007/s10641-014-0313-0. Albins, M.A. 2015. Invasive Pacific lionfish Pterois volitans reduce abundance and species richness of native Bahamian coral-reef fishes. Marine Ecology Progress Series 522:231-243. Benkwitt, C.E. 2015. Non-linear effects of invasive lionfish density on native coral-reef fish communities. Biological Invasions 17:1383-1395. Ingeman, K.E. and M.S. Webster. 2015. Native prey mortality increases but remains density-dependent following lionfish invasion. Marine Ecology Progress Series 531:241-252. Kindinger, T.L. 2015. Behavioral response of native Atlantic territorial three spot damselfish (Stegastes planifrons) toward invasive Pacific red lionfish (Pterois volitans). Environmental Biology of Fishes 98:487–498. Wilcox, C. L. and M. A. Hixon. 2015. False positive tests for ciguatera may derail efforts to control invasive lionfish. Environmental Biology of Fishes 98:961–969. Benkwitt, C.E. 2016. Invasive lionfish increase activity and foraging movements at greater local densities. Marine Ecology Progress Series 558:255-266. Hixon, M.A., S.J. Green, M.A. Albins, J.L. Akins, and J.A. Morris. 2016. Lionfish: a major marine invasion. Marine Ecology Progress Series 558:161-165. Ingeman, K.E. 2016. Lionfish cause increased mortality rates and drive local extirpation of native prey. Marine Ecology Progress Series 558:235-245. Kindinger, T.L. and E.R. Anderson. 2016. Preference of invasive lionfish and native grouper between congeneric prey fishes. Marine Ecology Progress Series 558:247-253. Benkwitt, C.E. 2017. Predator effects on reef fish settlement depend on predator origin and recruit density. Ecology 98:896-902. Benkwitt, C.E., M.A. Albins, K.L. Buch, K.E. Ingeman, T.L. Kindinger, T.J. Pusack, C.D. Stallings, and M.A. Hixon. 2017. Is the lionfish invasion waning? Evidence from the Bahamas. Coral Reefs 36:1255–1261. Kindinger, T.L. and M.A. Albins. 2017. Consumptive and non-consumptive effects of an invasive marine predator on native coral-reef herbivores. Biological Invasions 19:131-146. Tuttle, L.J. 2017. Direct and indirect effects of invasive lionfish on coral-reef cleaning mutualists. Marine Ecology Progress Series 569:163-172. Tuttle, L.J., P.C. Sikkel, K. Cure, and M.A. Hixon. 2017. Parasite-mediated enemy release and low biotic resistance may facilitate invasion of Atlantic coral reefs by Pacific red lionfish (Pterois volitans). Biological Invasions 19:563–575. Kindinger, T.L. 2018. Invasive predator tips the balance of symmetrical competition between native coral-reef fishes. Ecology 99:792-800. For KIDS, click here for the "I Am The Lionfish" music video, by Kathy Cure! Our research is generously funded by the National Science Foundation.